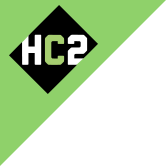 Communications | Investor Relations | HC2 Holdings Inc. The Board welcomes communications from the Company’s stockholders and other interested parties and has adopted a procedure for receiving and addressing those communications. Stockholders and other interested parties may send written communications to the Board or the non-employee directors by writing to the Board or the non-employee directors at the following applicable address: Board/Non-Employee Directors, HC2 Holdings, Inc., 450 Park Avenue, 30th Floor, New York, NY 10022, Attention: Corporate Secretary. Communications by e-mail should be addressed to corpsec@hc2.com and marked “Attention: Corporate Secretary” in the “Subject” field. The Corporate Secretary will review and forward all communications from stockholders or other interested parties to the intended recipient.